A lot of fans of Eat Bulaga's phenomenal couple Maine Mendoza and Alden Richard was curious after Alden Richard said relationship status in Sunday Pinasaya segment Dos Lolos, Sunday, April 3. In the segment, Jose Manalo acts as the Grand Father of Alden Richard and Boboy Garovillo of APO Hiking Society for Maine Mendoza. Wherein Alden Richards told to his Grand Father Lolo Erning that he finally gets the sweet yes of Maine Mendoza. Ang Sabi ko po may maganda po akong balita sainyo. Sinagot na po niya ko. 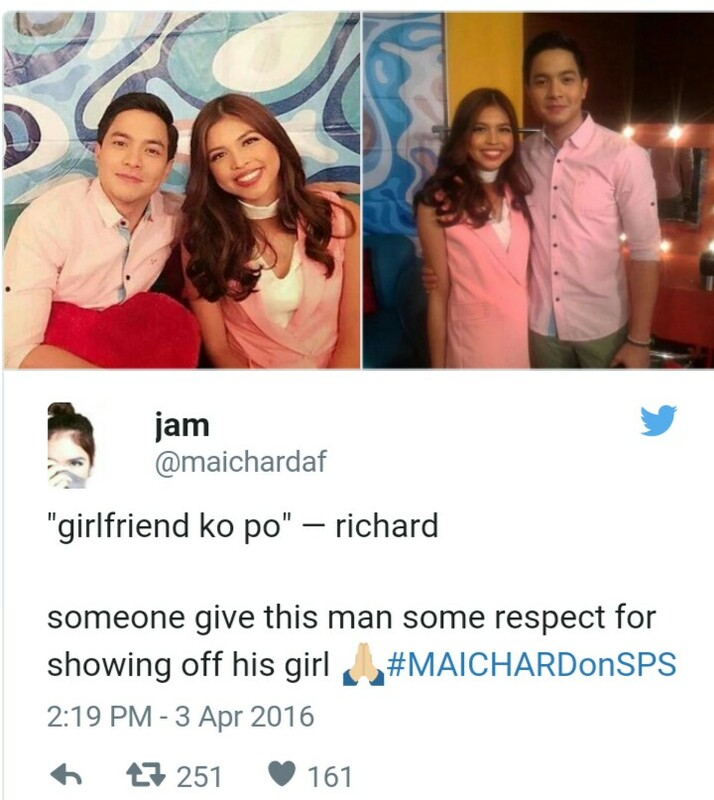 Although fans know that it was just a play, Aldub fans giggle after Richard said it. One Aldub fan said in her tweet, "1 month na sila! True to life? Meygerd, Kilig"